If you are seeking a Southern golf experience that is complemented by rolling hills, loblolly pines, and blooming dogwoods, then you should consider attending The Masters Tournament at the Augusta National Golf Club each April. 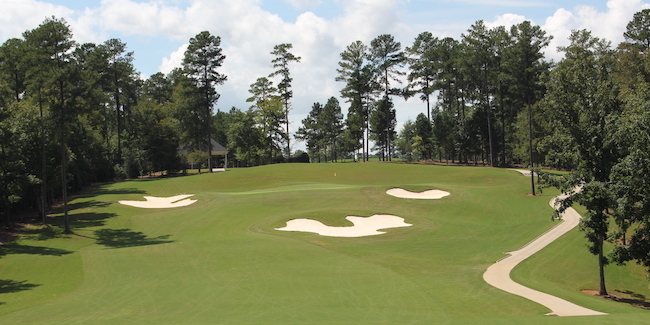 If you are seeking a hands-on Southern golf experience as a player that is complemented by rolling hills, loblolly pines, and blooming dogwoods, then set your sights on playing the Mount Vintage Golf Club in nearby North Augusta, South Carolina - which is a 20-minute drive from Augusta National. In many respects, the Mount Vintage Golf Club (375 Mount Vintage Plantation Drive, North Augusta, SC; www.mountvintagegolf.com; 803-279-5422) has many of the shared physical and geographic characteristics of its more famous 'neighbor,' but Mount Vintage is available, accessible, and affordable for outside golfers. It's worth repeating what Golf Magazine wrote about Mount Vintage: "Nothing matches playing Augusta National......but if you're looking for a course with a similar look, try Mount Vintage Golf Club." As soon as you set foot on the grounds of Mount Vintage, the atmosphere is eerily similar to Augusta National's - clear and simple signage, very well maintained grounds, first-class warm-up facilities, and an old clubhouse that predates the construction of the golf course. The pro shop, the grille, and the locker rooms are built in such a way that they form a quasi-amphitheater which provides a cocoon-like setting for the practice putting green and the driving range. There's also a perimeter patio attached to the clubhouse, complete with rocking chairs, which is a great place to unwind and relax after an 18-hole outing or after a serious practice session on the driving range. The clubhouse was originally called The Shaw House and was built in 1840 by Thomas Lewis Shaw. Six generations of the Shaw family lived in the home before it was moved to its current location in 1995. In 1999-2000, The Shaw House was restored in order to serve as the clubhouse. Wings were added for the grille and locker rooms. One building on the property which grabs your attention is the cart barn because it's a traditional, old-fashioned barn that has been transformed from a home for horses and cows to a safe haven for golf carts. It's an appropriate structure since Mount Vintage is situated in a rural, pastoral setting which caters to the equestrian crowd, as well. While Augusta National is a traditional 18-hole layout, Mount Vintage features three different nine-hole layouts - the Vintage, the Chester, and the Independent. Established in 2000, Mount Vintage has the look and feel of a golf course, especially the Vintage and the Chester, that was designed by peers of Bobby Jones and Alister MacKenzie, the architects of Augusta National. Just as Augusta National tugs at your heart strings when you see it, Mount Vintage evokes similar emotions. "A place for all you hold dear" is an expression which appears on signage at Mount Vintage. That saying is accurate. Simply put, it's an honor, privilege, and a perk to have the chance to tee it up at the Mount Vintage Golf Club. In fact, during the week of The Masters, a morning round at Mount Vintage followed by an afternoon walking around Augusta National would be a great daily-double golf outing, if you are in the area to see who wins the coveted Green Jacket. But after 18 holes at Mount Vintage, you might be persuaded to skip your afternoon watching Spieth, McElroy, Garcia, and Mickelson in favor of playing the third set of nine holes at Mount Vintage. Yes, Mount Vintage has a way of grabbing your attention and not letting go. The saddest part of any day at Mount Vintage is when the sun sets in the west and darkness descends upon this piece of real estate which the late Bryon Nelson referred to as a "magnificent layout." Another aspect of Mount Vintage which evokes memories of Augusta National is the presence of many stacked-stone bridges on the property that crisscross the property's many streams, creeks, brooks, and ponds. 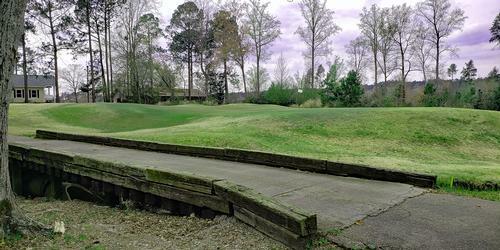 Those stacked-stone bridges will remind you of the Hogan, Nelson, and Sarazen Bridges at Augusta National. Mount Vintage has done a great job of simulating Augusta National's bridges with duplicates which give you that Masters Tournament feeling. 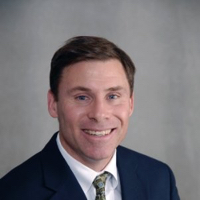 "Customers have told me often that our customer service is outstanding," says Jeff Marks, head golf professional at the Mount Vintage Golf Club. "The staff goes the extra mile to ensure that all guests and members have a first-rate experience every time they visit Mount Vintage GC. Additionally, our rates for golf and dining are very affordable and an excellent value for the quality offered." When you play the Vintage course, your decision making will be tested because eight of the nine holes have either an uphill or downhill shot at one time or another. It's safe to say that straight-away par fours are non-existent at the Vintage. When you play holes 5, 6, and 7 at the Vintage -- all of which are influenced by the presence of Pavilion Lake -- you'll quickly understand why this trio of holes has been dubbed Mount Vintage's own version of Amen Corner. If you can handle those three holes, then your game is well suited for the remaining 24 holes at Mount Vintage. The best way to describe the Chester course is that when you walk off its 9th green, you'll want to return to the first tee and play all nine holes immediately. Overall, the Chester is a memorable blend of dogleg par fours, risk & reward par fives, and captivating par threes. The Signature Hole for Mount Vintage is the sixth hole, a downhill, 537-yard (from the back tees) par five that has a stream which borders a portion of the left side of the fairway and then crosses the front part of the green, catching any errant approaches to the putting surface. A well-struck drive will tempt any golfer to go for the green in two, setting up an eagle opportunity. Opened in 2008, the Independent course is impacted by water on eight of the nine holes. The most scenic hole on the Independent course is the downhill par-three 8th hole. From the tee, a number of bubbling brooks feed to a pond which protects the front of the green. A well-struck iron to this medium-length par three is all that you need to reach the putting surface. If you don't swing with commitment, your tee shot will end up wet. 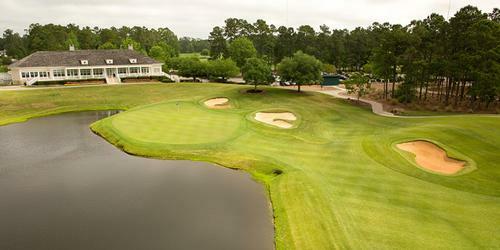 Not surprisingly, the 8th hole has been named to PGA.com's South Carolina Dream 18: Hidden Gems. 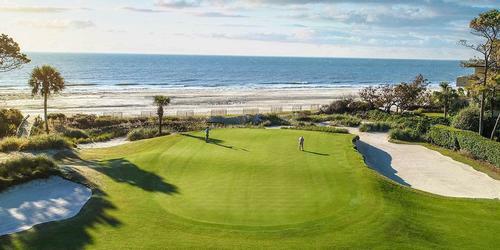 It's being compared to other more high-profile holes at Kiawah Island and Harbor Town Golf Club. 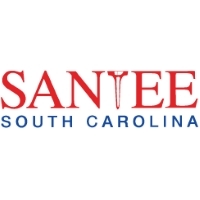 Mount Vintage has earned high accolades from the South Carolina Golf Course Rating Panel, as it is now rated in the top three of "Best (Courses) You Can Play" in the Midlands area of South Carolina. So, can you envision that Southern golf experience that is complemented by rolling hills, loblolly pines, and blooming dogwoods? It's one thing to think about it or talk about it. But, after reading about it, it's time to take action. The Mount Vintage Golf Club awaits your arrival.....and don't forget your tennis racquet, swimsuit, and workout attire, as tennis, swimming, and fitness opportunities exist at Mount Vintage, too.